Wholesome. Healthy. Happy. 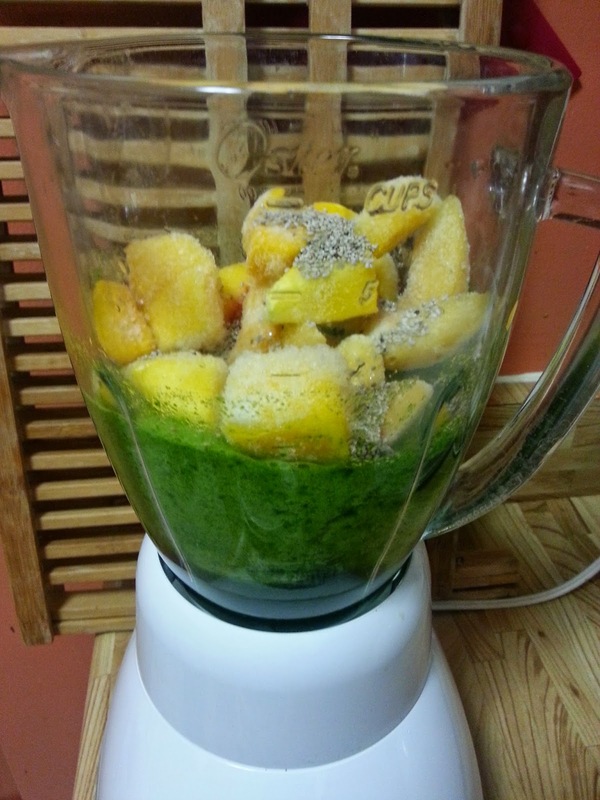 : Another Smoothie Day! 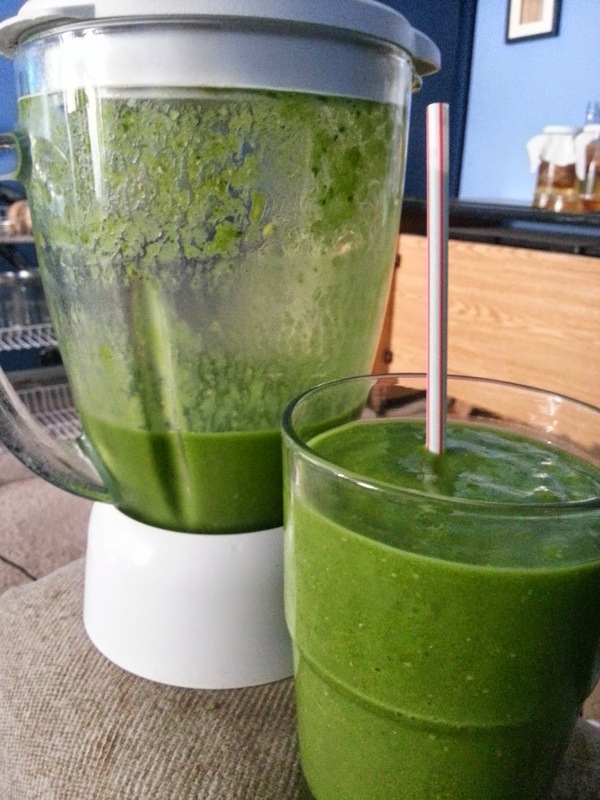 I learned a few days ago, that in order to have the smoothest consistency when you don't have a turbo-super-duper blender (which I don't), to blend the greens with the liquid first. 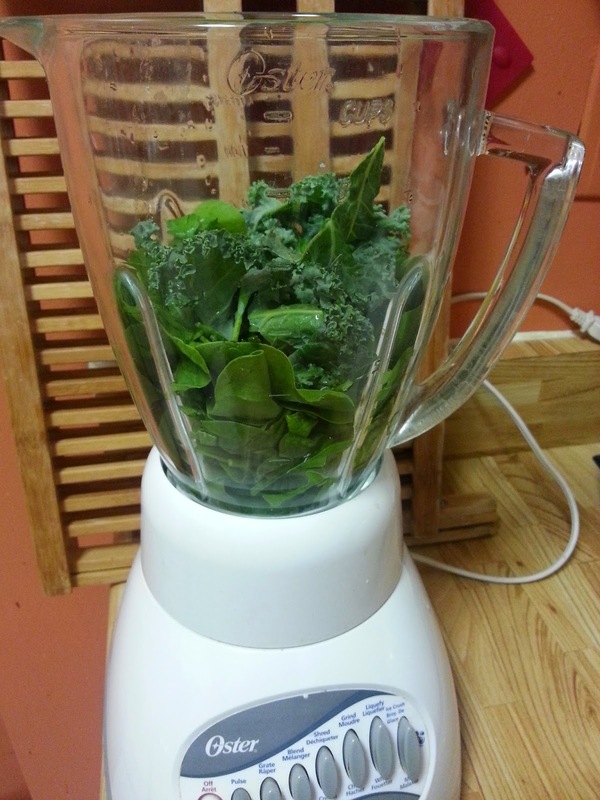 I tried that out today, and boy did it make for a smoother smoothie! I highly recommend it! I've been hungry relatively soon after having my smoothies both days, but I think it has to do with the fact that I was approaching lunch time by the time I had it, and therefore was in need of more food, if you know what I mean. I've had smoothies until dinner in the past, and wasn't hungry at all. I love how quick they are to make too! I couldn't run to the local coffee shop for a bagel and back, in the time it takes to make my green smoothies. In fact, how long I'd be in line is more than it take to make them. Crazy!